Tall growing with arching branches. Distinctively attractive blue-grey foliage. 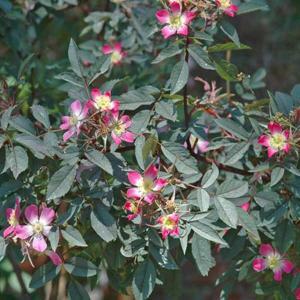 Deep pink flowers with white centres. 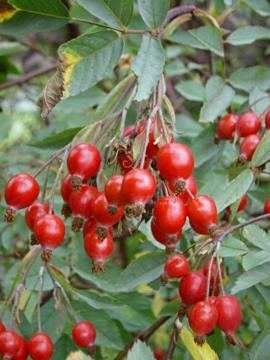 Leaves turn reddish in autumn and are accompanied by bright red rounded hips.